We recommend: a naturally fine grained Highland Beef Sirloin Joint with Smoked Shallot & Whisky sauce. Gammon is a festive classic hot or cold that can last beyond Christmas day. Choose from smoked or unsmoked, with or without a glaze - add your own by drizzling with a mix of honey and mustard. We recommend: Juniper Smoked Gammon with Bitter Orange and Juniper Glaze for a delicious easy carve centrepiece packed full of flavour. Known for its rich and succulent flavour, some say goose could be the new turkey. Be sure to save the cooking fat your roasties or keep covered in the fridge for another day. Tender lamb makes for a fabulous roast. If you love the combination of lamb and fruit you’ll definitely enjoy these festive picks. 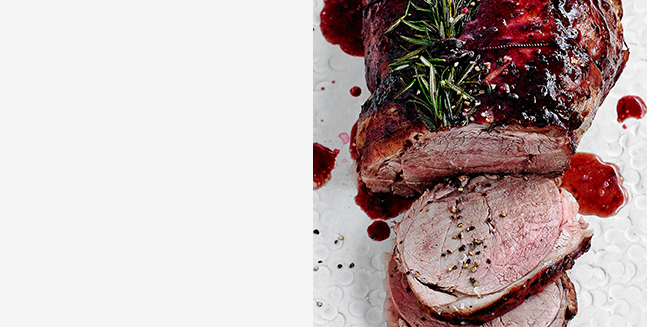 We recommend: Our Boneless Leg of Welsh Lamb with spiced red berry glaze. Juicy and tender, it's best served slightly crisp on the outside, revealing a rosy pink inside. A French trimmed half rack of game is quite a statement piece at the dinner table. Lean and rich in flavour, it's something a bit different for guests. We recommend: Waitrose 1 Douglas Fir Smoked Half Rack of Venison with a delicious venison and redcurrant jus. This is perfect for lovers of lean meat, who appreciate a subtle gamey flavour. Guinea fowl is a great substitute for chicken but can often be overlooked in the poultry stakes. If you’re unsure how to prepare it, we’ve done the hard work for you. 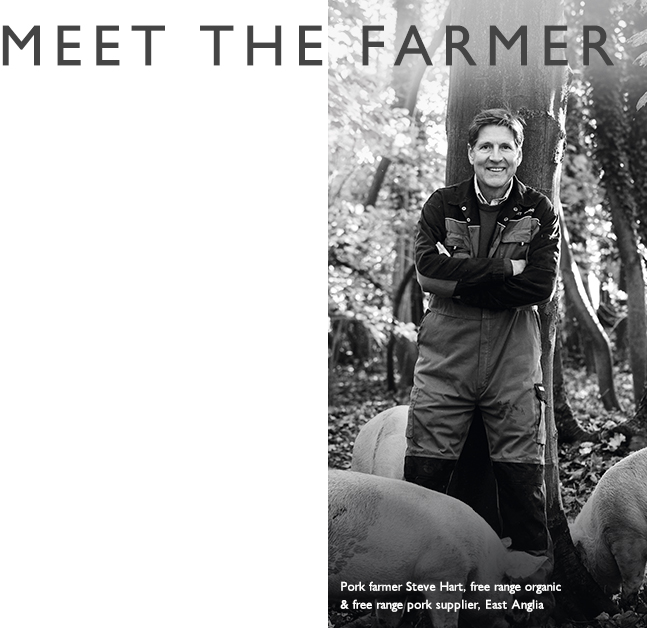 We recommend: Waitrose 1 Guinea Fowl with Pork, Apricot & Red Onion Stuffing,beautifully stuffed with flavours that complement the bird. 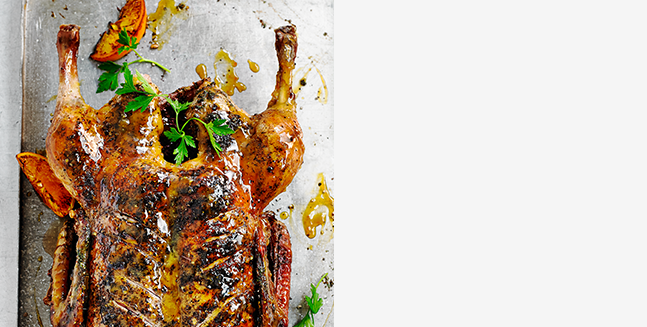 Duck deserves a place at your table this Christmas, and roasting it whole couldn’t be easier. Keep the cooking fat for making incredibly tasty roast potatoes. 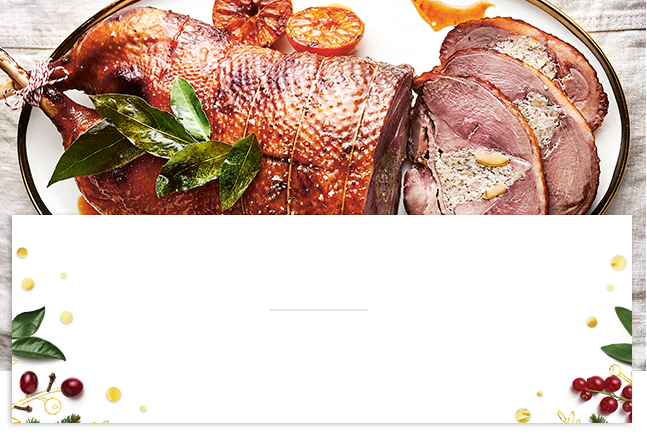 We recommend: Whole Duck with Orange and Juniper Glaze, a unique combination sure to tease your palate. Enjoy with extra crispy roast potatoes.